As the year ends, we need to review some of the changes coming in January 2019. Please see below for a short summary of the issues that affect the restaurant industry in California. If you currently operate in an area that is covered by a municipal wage law, please check with your city for any increases- if the city minimum wage is less than the state you must follow the state guidelines. Check with your labor attorney if you have questions about what wage order you should follow. Same issue here, you need to check on any city mandated laws or follow the state guidelines. 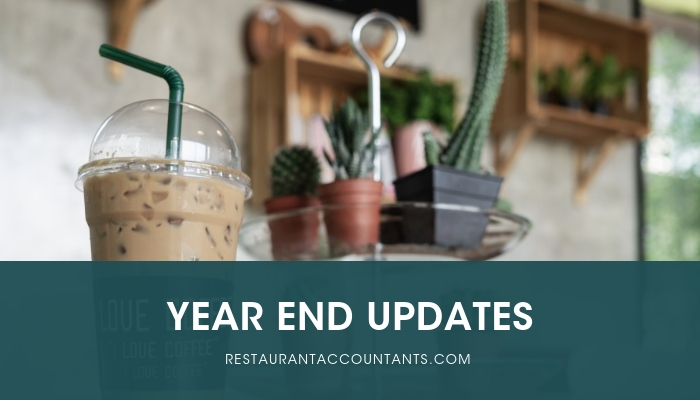 At the state level, AB 1884 goes into effect: https://leginfo.legislature.ca.gov/faces/billTextClient.xhtml?bill_id=201720180AB1884, which allows the use of plastic straws on a request only basis in full-service restaurants-fast food restaurants are excluded. If you have any questions or concerns, please feel free to reach Jean Hagan, jean.hagan@krostcpas.com.